Saint-Tropez – 14 June 2016 – The second element of the 2016 Giraglia Rolex Cup drew to a close today, with the completion of the three-day inshore series. All that remains is the main event, ‘La Giraglia’, the 241 nautical mile offshore component of this inspirational contest. Those racing in the inshore races have been blessed with warm, dry weather and a mix of largely good wind conditions. By contrast the early part of the offshore race looks a little less enticing as the brisk winds of the past few days are predicted to abate before tomorrow’s start, offering a slow passage to the Giraglia. Once at the northern tip of Corsica, the fleet expects to meet stronger winds and a potentially difficult final leg to Genoa. 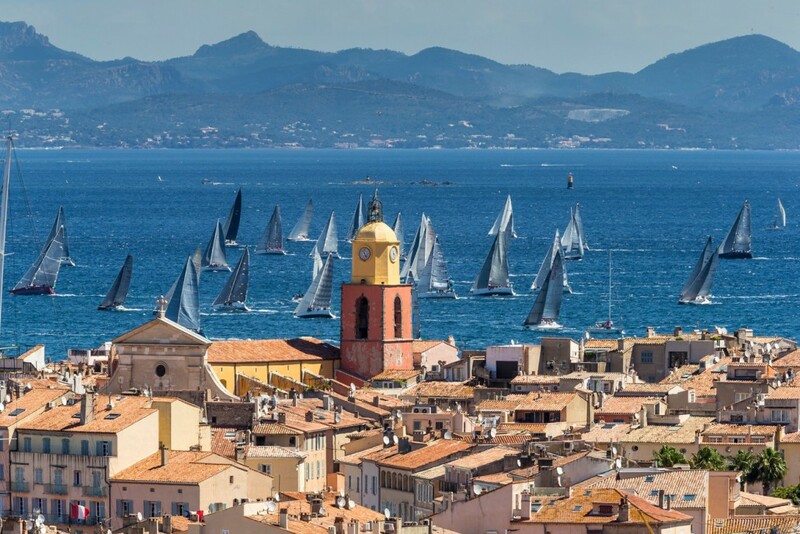 The inshore races have provided not just exciting racing, but also a great spectacle with the yachts finishing each race just off the breakwater of the port of Saint-Tropez. The northern shore of the bay providing a perfect backdrop as the fleet nears the line. Aside from a delay to racing yesterday when a strong westerly was blowing the tops off the waves in the bay during the morning, the Yacht Club Italiano and its partner club, the Société Nautique de Saint-Tropez, have benefitted from cooperative conditions. The fleet have enjoyed different courses each day, with the larger yachts competing over 31, 19 and 30 nautical miles; the smaller classes covering two races of 19nm and one of 21nm. Today’s races took the bigger yachts north-east to a mark just south of the Ile des Vieilles; the two smaller yacht classes heading into the Golfe de Fréjus, to a mark off Saint-Raphael. In the IRC fleet, after the three races, Benoit de Froidmont’s Wallyno prevailed overall in Class 0, and in doing so secured the Ville de Saint-Tropez Trophy. Some 269 yachts are expected to cross the start line tomorrow, ranging from the 30.5m Magic Carpet Cubed, last year’s overall winner, the most powerful boat in this year’s fleet and favourite for line honours, down through the other Maxis and Mini maxis, such as High Spirit and L4/Trifork winner of the Sanremo to Saint-Tropez race; the fifty-footers like Team Vision Future and Arobas 2 (winner in the Marseille to Saint-Tropez race); forty-footers including Chestress 3; and not forgetting the thirty foot yachts, such as Alexia Barrier’s Torial.Fr-4 Ever. For those preparing for tomorrow’s offshore race, tonight will be shared between final yacht preparations, the inshore prize giving in Place de la Mairie and the traditional crew party, which this year will be held right on the water’s edge at La Ponche. The offshore race start is scheduled for noon tomorrow, Wednesday 15 June. From leading offshore races, such as the Rolex Sydney Hobart and the biennial Rolex Fastnet Race, through to the highest-level one-design competition at the Rolex Farr 40 World Championship, spectacular gatherings at the Maxi Yacht Rolex Cup and the Rolex Swan Cup, as well as the brand’s support of the International Sailing Federation and its close relationships with the most prestigious yacht clubs around the world, including the New York Yacht Club (US) and the Royal Yacht Squadron (Cowes, UK), Rolex is driven by a passion for excellence and a great appreciation for yachting that furthers the strong ties that bind these two worlds in their shared pursuit of perfection. Final Optimist Giraglia : Magic Carpet Vainqueur en temps réel !